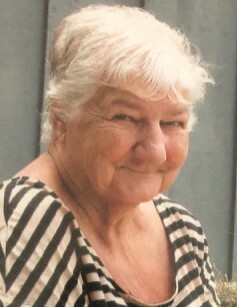 SALEM – Helen E. Lewis, age 84, died at 6:55 a.m. Sunday, January 27, 2019 at Blossom Nursing and Rehabilitation Center. She was born October 9, 1934 in Salem, Ohio, the daughter of John and Sarah (Ascht) Zelch. Helen was a homemaker, mother of seven, enjoyed spending time with her grandchildren, watching WWE Monday Night Raw and doing crossword puzzles. Her husband, Leroy L. Lewis, whom she married January 23, 1954, preceded her in death October 9, 1981. Helen’s second husband, L.B. Gribble also preceded her in death. Survivors include five sons, Lee Lewis of Missouri, George Lewis of Salem, Ralph Lewis of Salem; Robert Lewis and Larissa Wheatley of Salem William (Kathy) Lewis of Georgia; two daughters, Tina (Eric) Jewell of Georgia and Sissie Lanning of Salem; 13 grandchildren and 19 great-grandchildren. Besides her parents and husbands, she was also preceded in death by a son-in-law, Gerald Lanning and a grandson, Matthew. Calling hours will be held from 5:00-7:00 p.m. today, January 30, 2019 at Stark Memorial Funeral Home and Cremation Services. In lieu of flowers, donations may be made to the Banquet of Salem, P.O. Box 792, Salem, OH 44460.